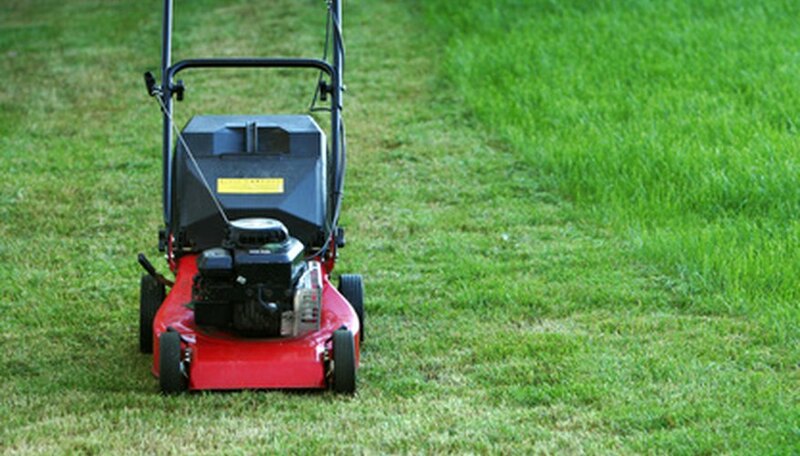 Honda mowers build engines like any other lawn mower, simple engines that work with a minimum of complication. Mowers made by Honda are genrally gas powered engines, running a single blade or the exclusive Honda twin-blade system. Regular maintenance according to Honda's manual prevents breakdowns and ensures the mower is working to maximum efficiency. Knowing how to troubleshoot an engine when it does break will keep you out of the dealership and save you money. Ensure the gas and oil are filled to the appropriate levels. Honda gas tanks have a gas fill line, which the gas level should be checked against. Remove the dipstick from the oil crankcase after the engine has warmed (if the engine turns on) to check the oil level. Fill if necessary. Check the choke to make sure it is in the fastest position to start the engine. New Honda models start without the use of a choke. Locate the wires from the safety lever on the handle of the mower to the engine and check the integrity of the wire. If it is damaged it will need to be replaced. If it is not connected, reconnect it to the engine. New Honda mowers will continue running without the handle depressed, but the blades stop. If your mower is not cutting grass when the handle is depressed, check the wiring. Remove the spark plug from the engine if the mower is not starting and clean the end of the plug. Touch the end of the plug to a metal surface to see if there is a blue spark. A brown spark or no spark means the spark plug requires replacement. Check the gap of the spark plug using the spark plug gapping tool and check the gap against the requirements in your Honda manual. Adjust the gap by tapping it down against a solid surface, or using the end of a screwdriver to enlarge the gap. Open the air filter casing using your screwdriver to check that it is not clogged or dirty. Throw out dirty paper filters and replace using your Honda model's required filter. Honda Power Equipment: Why Choose a Honda Mower?